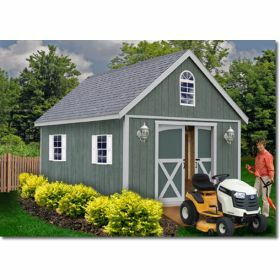 Wooden Sheds are constructed to provide you a lifetime of dependable service. 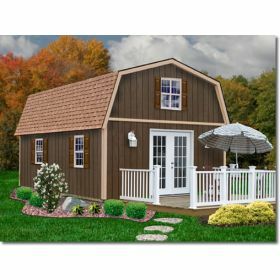 The prefabricated components are constructed from top grade lumber and construction materials. 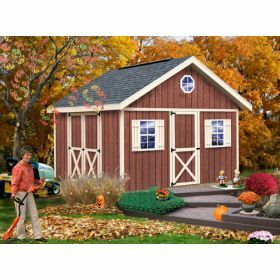 The siding material featured on our wooden sheds is resists to insects, decay and delamination. 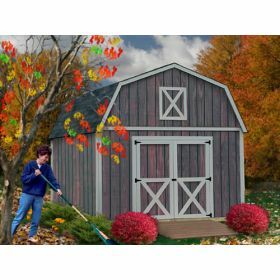 The steel hardware featured in our wood shed kits is completely powder-coated for beauty and longevity. 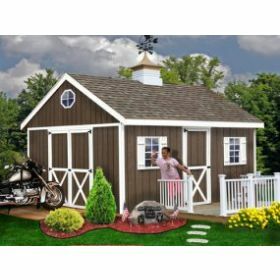 All of these features culminate to allow wooden sheds to provide you with an outdoor storage solution that is attractive and long lasting. 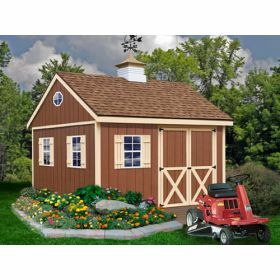 All of our wood shed kits come pre-drilled and are perfectly applicable for use as a backyard storage shed, barn or wooden playhouse. 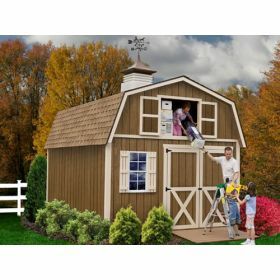 Lastly, all of our kits come complete with illustrated Step by step instructions that makes constructing our prefabricated wooden sheds easy to assemble! 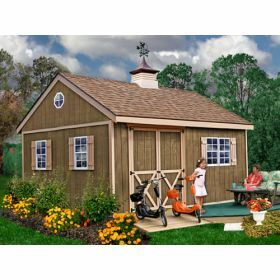 Keep in mind that outdoor wooden sheds provide a natural beauty and durability that many other construction materials just can’t provide. They are strong enough to handle damaging rain, wind, snow, hail and flying debris, yet elegant, classy and aesthetically fitting such that they seamlessly blends with nearly any residence or landscaping design. 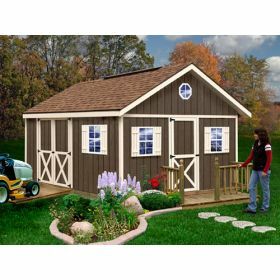 These factors are what make wood an ideal material for the outdoor storage solution that you’re looking for. 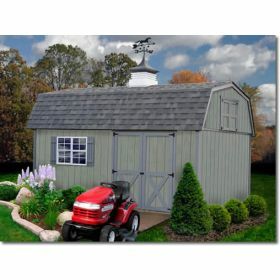 As with all of our kits, we offer FREE SHIPPING and NO SALES TAX on our lines of wooden sheds!